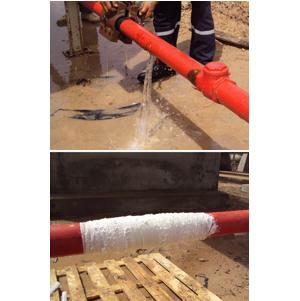 Choose an option(SYL-106-UP) up to 1.5cm / 1/2"(SYL-206-UP) up to 2.5cm / 1"(SYL-309-UP) up to 5.0cm / 2"(SYL-412-UP) up to10cm / 4"(SYL-616-UP) up to 15cm / 6"(SYL-633-UP) up to 30cm / 12"(SYL-866-UP) up to 60cm / 24"
WRAS Approved Pipe Repair Kit For when pressure CANNOT BE turned off. 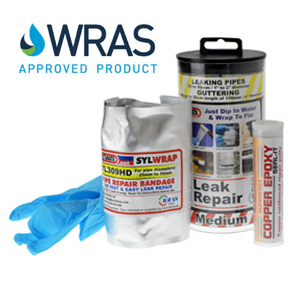 SylWrap Under Pressure Kit is designed for pipe repairs where flow cannot be isolated, for applications on pipes made from steel, stainless steel, copper, malleable iron, GRP, ceramic, clay, concrete, rubber and most plastics. 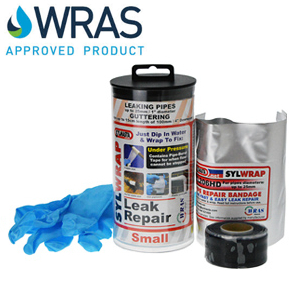 SylWrap Under Pressure Kit is quick and easy to use and a permanent repair can be made in minutes. 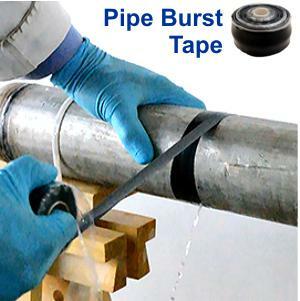 The pipe repair kit contains Pipe Burst Tape which is used to close off pressurised leaks. 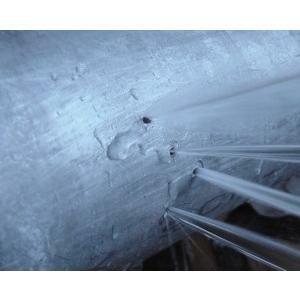 SylWrap is then applied over the Pipe Burst Tape for a long term, pressure-resistant repair. (SYL-106-UP) up to 1.5cm / 1/2", (SYL-206-UP) up to 2.5cm / 1", (SYL-309-UP) up to 5.0cm / 2", (SYL-412-UP) up to10cm / 4", (SYL-616-UP) up to 15cm / 6", (SYL-633-UP) up to 30cm / 12", (SYL-866-UP) up to 60cm / 24"
Quickly stop pressurised leaks by tightly wrapping Wrap & Seal as part of the pipe repair kit. 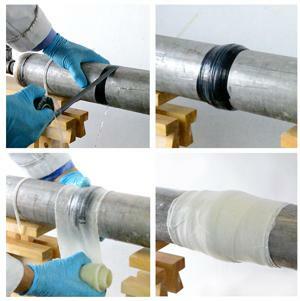 Create a long lasting permanent repair by reinforcing the silicone tape with our resin soaked bandage.